Long Beach Comic Expo, table #6006! Plus, a 2nd GOODREADS Giveaway! First: That’s right, another GOODREADS Giveaway, happening nao!!! (screams) I scare myself, sometimes. This one is for 3 copies of Dark Victorian: BONES, and is only for a short while. It is open internationally, so never mind the passport, Enter! Giveaway ends May 11, 2013. Long Beach Comic Expo! Find me at table #6006! Beware the giant kitteh in background! That’s right, put a Frock on it. And though I’ve prepped for Long Beach, my mind is on Clockwork Alchemy, happening in less than 2 weeks (eeeek), because I’ve presentation to do there, “Cinematic Storytelling in Steampunk”, as well as participating in their Author’s Salon! All right, to it then, as this needs to go out to all the social places. Hope you are all doing well as well edge into later spring and into Summer. Yikes, this year is going by fast. http://a-girlstudio.com/wp-content/uploads/2015/03/Header_risen-300x169.jpg 0 0 ewat http://a-girlstudio.com/wp-content/uploads/2015/03/Header_risen-300x169.jpg ewat2013-05-10 20:15:102013-05-10 20:15:10Long Beach Comic Expo, table #6006! Plus, a 2nd GOODREADS Giveaway! 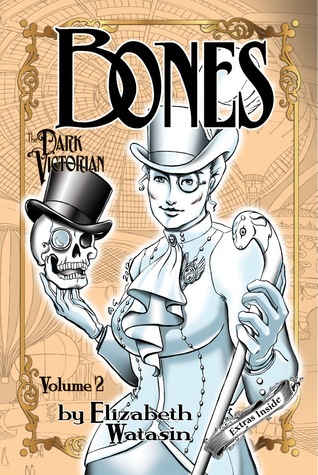 Dark Victorian: BONES Giveaway Winners!